Black and white photograph showing a Ku Klux Klan rally held near Darbytown Road in eastern Henrico County, Va. The rally, sponsored by the United Klans of America - Realm of Virginia, was held on July 4, 1967. 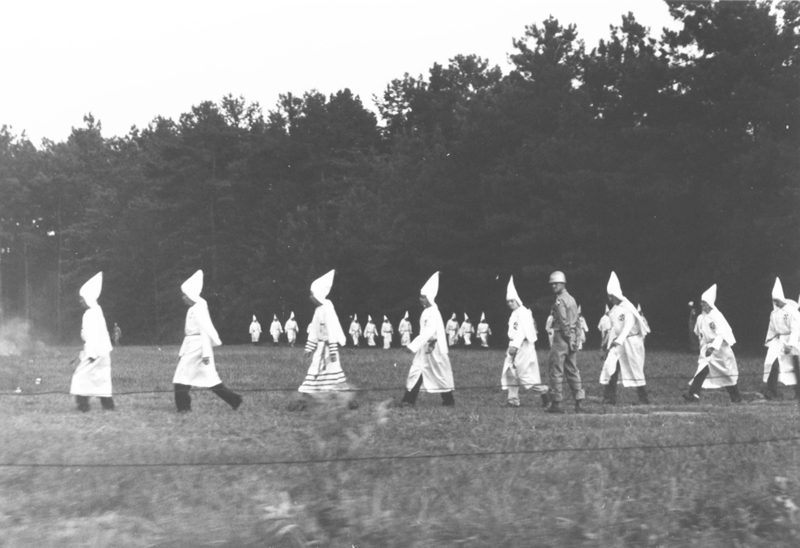 The photograph shows a line of white robed figures walking out of the woods and processing towards the rally. Possibly a police surveillance photograph. “Ku Klux Klan Rally, Henrico County, Virginia,” Social Welfare History Image Portal, accessed April 26, 2019, https://images.socialwelfare.library.vcu.edu/items/show/289.